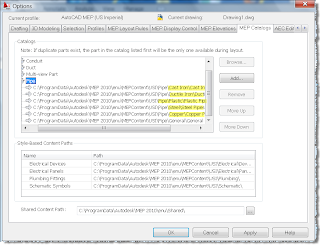 AutoCAD MEP, and before that Building Systems, has always offered content in the form of catalogs. The catalogs have been somewhat rigid and you had to take all or none though. 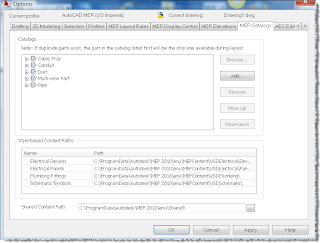 Now with AutoCAD MEP 2010, we have separate catalogs that make more sense. Pipe is especially important to me. See how the catalogs are broken down by type. I can use just the catalog types that I need.